Collection of tasks is intended for theoretical departments of music colleges, and can also be used on general courses in conservatories and schools. 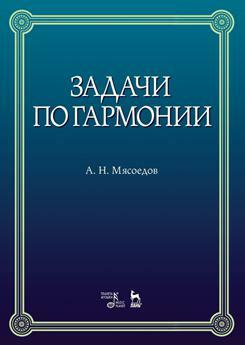 "Tasks in harmony" is the practical part of the harmony textbook, written by A.N. Myasoedov. Location of the material in the book closely matches the layout of the textbook. This work is designed for students and teachers of the theoretical departments of music schools.